Each year, feeling a little like the movie Groundhog Day, I approach December without remembering how tough this month is for me personally. My awesome husband, who is very involved with our four kids, suddenly has tournaments, practices, and games all over the Sacramento region, and we don’t exactly see him during the daylight hours, shall we say. Of course, I’m grateful that my husband gets to teach history and coach basketball at the high school level; it’s been his passion since he began coaching at the age of 17, the same year we started dating. I knew what I was getting into from the start, yet it never seems easy. Add a bunch of kids, and elementary school asks – class parties, secret Santa gifts, special performances–then add in annual parties, youth group events, and the regular sports team practices, drama practices, and all the other holiday tidings – it’s enough to sink the Titanic. I’ve wised up a bit over the years and have prepared for the season by saying no to things early on, yet as the days on the Advent calendar tick by, I still find myself struggling to keep my head above water. This time of year usually brings about a breakdown, a meltdown, and a few marital disputes (note: these are not on my Christmas list, in case you were wondering). It’s only normal not to enjoy things like . . .
I’m human, and I bet you’re human too. With each passing year, I aim to take a thing or two off my “ideal Christmas list” and instead spend a little time just being grateful for the quiet moments (before the kids are off on winter break), for Handle’s Messiah on the classical station, for laughing uproariously at Will Farrell in Elf pouring syrup on his spaghetti. So far we’ve snuggled on the couch instead of baking; we’ve skipped half a dozen events because of colds and exhaustion, we’ve ordered pizza and eaten leftovers. The perfectionist in me wants the Hallmark stamp of approval, but I’ve learned the hard way that my sanity is linked inexorably to how much I strike from my to-do list – and so I carefully say yes, and default to no. It’s only taken me nearly 18 years of marriage to get here, and I’m certainly still working on things. 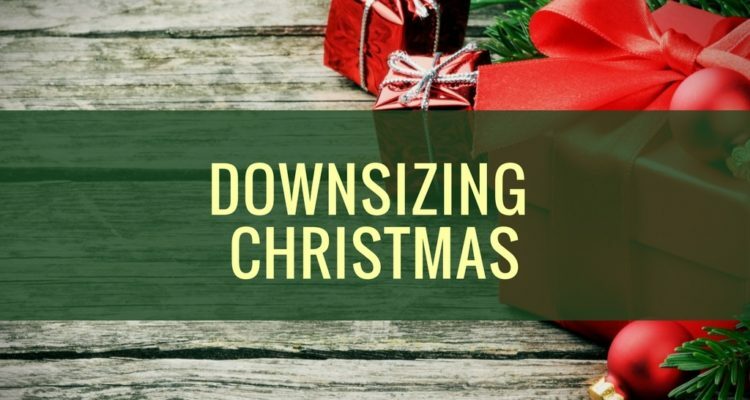 In reading Christianity Today’s advent devotional yesterday, it spoke of Jesus’ “downward mobility.” [Here’s another great article by Eugene Cho on the same topic.] It made the point that in our American culture, we focus on “upward mobility,” that is, increasing in importance and status. But God himself came to earth, humbled himself as a baby, was born in a dirty stable with no midwives, to poor peasant people. The circumstances were not in his favor; in fact, Jesus could have been voted “least likely to become the Messiah” if there was a contest in Bethlehem. But with Jesus – celebrating Him – the whole reason for our Christmas revelry – more humility and more trust is all we really need. – choices to pause, reflect, enjoy, and relish all you’ve done for us. to do more and be more than we can ever live up to. to meet you face-to-face one day when you return or we go to meet you in heaven. Thank you for your promises that are all true – that you love us and desire for us to really know you. Help us seek you daily, listen for your voice, and walk with you as we long to serve you. I am reading this post sitting in the car after coming home from my first shopping trip. I have been spending most of my time visiting a dear friend in the hospital and praying so have had no desire to get out in the fray – the hustle and bustle of commercial Christmas land. I love what you have said in this piece and I'm sure it rings true for many people… who are glad you have written about it so beautifully.